Pour coffee and onion soup packet to the crock pot. Add the roast and cook on low for 8 hours. Remove the roast and place in large bowl. Pull with 2 forks to shred and separate the meat. Stir 1 cup barbecue sauce into pulled pork. 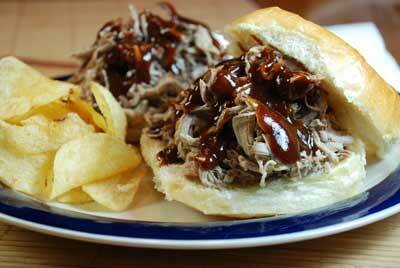 Pile on buns and serve with additional barbecue sauce.